For how many days can a person feed stray cats? For Sediq, it has been 15+ years. The passion and determination of Sediq’s sacrifice touches the lives of 500 every single day. This film is a remarkable insight into his daily life as he faces aggression, sympathy, and often, indifference. UAE national Rafed Al Harthi, who has a degree in electrical engineering, began his media career as an on-screen volunteer for various productions, including the UAE's 37th National Day commercial. His first appearance as a TV presenter was with Abu Dhabi Al Emirate, for the show 'Mehnati', followed by a stint at Abu Dhabi TV, hosting 'Jammel Darak'. Today, Rafed is still with Abu Dhabi TV, presenting his own show, 'Min Al Khater'. Rafed is one of our creative lab community members and an inspiring applicant. This project has been an amazing chapter in our journey. Huge thanks to all our creative lab members who have contributed to this amazing project. In 2012, Rafed took part in the Young Media Leaders programme, an initiative by the Abu Dhabi Music & Arts Foundation – which ignited his passion for filmmaking. After reading about Sediq and his drive to save all of the UAE's stray cats, he knew he'd found a great story. 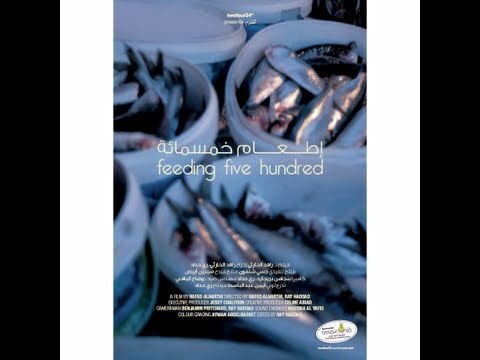 Following a five-month search to find Sediq on the streets, Rafed, with the support and funding of twofour54° creative lab, was able to make his first film, 'Feeding 500'.